LZdaddy took a day leave and we went to the Science Center. 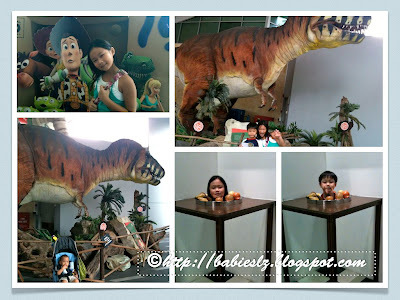 It was Beanie's FIRST trip there and he enjoyed most at the Children World coz he was asleep most of the time. LZ have not been there for a long time. 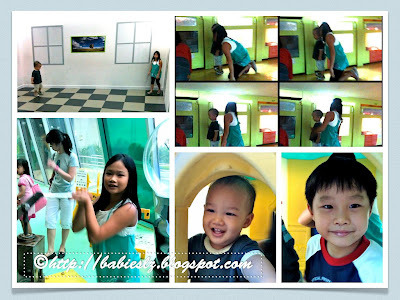 They enjoyed exploring and played with the stuffs since they both like science. Beanie was fascinated by the little chicks and creepy crawlies! Looks like we should go to the zoo more often. They had so much fun that they were reluctant to leave the place. That mirror table is so familiar.